The purpose of the Eckington Civic Association is to promote the civic welfare (to include, but not be limited to, social, economic, environmental, public safety, quality of life, and heritage issues/concerns) within the Eckington neighborhood of the District of Columbia. 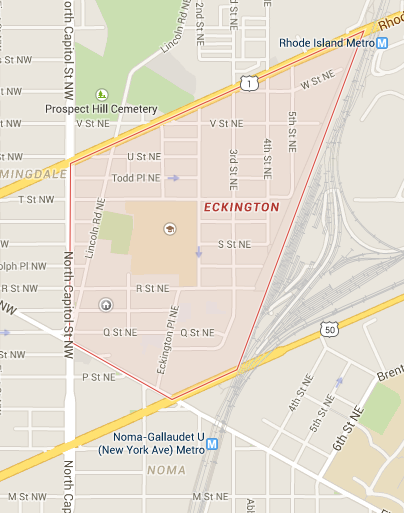 Learn all about the upcoming Eckington Day on October 28 here! (d) The western boundary is the east side of North Capitol Street NE.